Barley can be traced back to Ancient Greek and people such as Homer and Hippocrates wrote about it and understood how valuable it was. Hippocrates, in particular, would prescribe it to patients when they are sick. 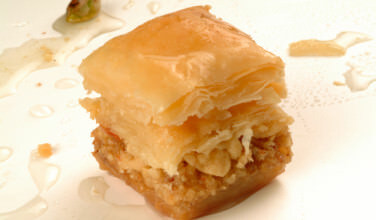 It is still being used today in foods like Greek country bread and Cretan rusks, which are usually served with chopped, fresh tomatoes, olive oil, and Cretan cheese. Corn is a grain that entered the Greek diet from the Americas in modern times. 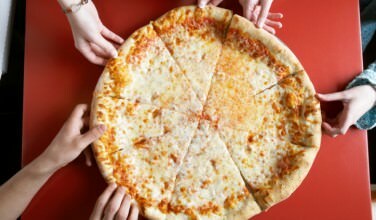 However, it is now a part of the traditional diet. 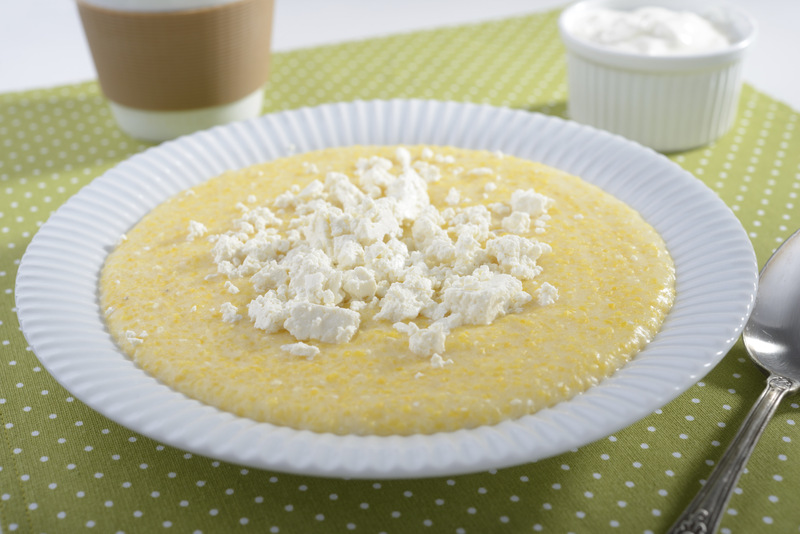 In some parts of Greece, a dried and coarsely ground corn meal, similar to polenta, is eaten. The resulting dish, called katsimaki, is a comforting, wholesome food that is served warm and often topped with feta cheese. Corn meal is also used to create savory pies called bobota that are rich with cheese, greens, and other ingredients. Although it fell out of favor as part of the cuisine, bulgur has recently become popular again. 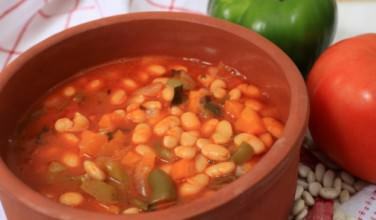 One common dish that it is used for is pilafi and people tend to substitute rice for bulgur. Bulgur pilaf tastes especially good with parsley and walnuts! This pilaf tastes especially delicious with slow roasted meats. 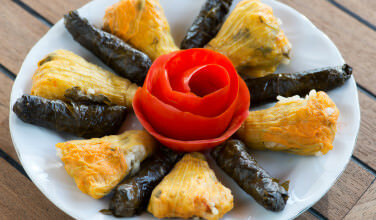 Rice is commonly used in Greece in dishes such as dolmades, rizogolo (rice pudding), spanakorizo, and pilafi. However, like corn, rice wasn’t present in the diet in Ancient Greece – it is a relatively modern addition. Semolina is another grain that is used in the Greek diet today, especially in pasta and in certain types of breads. This grain comes from durum wheat and is popular in places throughout the Mediterranean, including Greece. This grain is most often used on the Dodecanese islands, especially during holidays like Christmas and New Year’s. The grain is usually worked into a special bread that is only served on these holidays. Since sprouted wheat changes the way the dough feels, it helps if you watch someone make the dish who has done it before. Most of us are familiar with whole wheat berries from church because it is the grain used in koliva, which is served on a gorgeous mound on a silver tray during memorial services. The dish is usually made with things like sweet raisins and currants, walnuts, almonds, and confectioners’ sugar. This tradition can be found in Orthodox Churches outside of Greece, as well. As you can see, there are plenty of grains besides standard wheat that are available in Greece!